Ana Grgić, is a film scholar and researcher, with a PhD from the University of St. Andrews (Scotland) and an MA from the University of Sorbonne Nouvelle, Paris III. 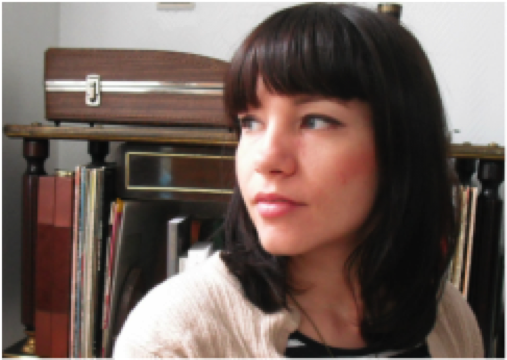 She researches and writes about early cinema, archives, and cultural memory in the Balkans. Prior to embarking on an academic career, she worked in film production at Cinecittà (Rome, Italy) and visual effects production in London’s Soho district. Ana is president of the cultural association Balkan Cultural Centre (Croatia) and an ambassador of Balkans Beyond Borders. Her scholarly contributions include articles and chapters in The Film Festival Yearbook 5: Archival Film Festivals, Frames Cinema Journal, Divan Film Festival Symposium Papers, Cinemas of Paris, Studies in Eastern European Cinema, Short Film Studies, and she occasionally writes for the East European Film Bulletin. She has co-edited a special issue on Albanian cinema for KinoKultura and she is a member of several specialist networks (SCMS, BAFTSS and BASEES), currently serving as co-chair of the SCMS Central/East/South European Scholarly Interest Group. Ana was also the co-organizer of The 5C Project, a year-long film literacy project funded by Creative Media, taking place in Croatia, Greece, Romania and Albania. Since 2015 she has worked with ACP to program international screenings and roundtables to introduce new audiences to Albania’s rich cinema. Ana joined ACP's board in 2016.